Choosing the right wedding dress can be the difference between making or breaking the entire wedding ceremony. After all, all your friends and family will remember your dress. The photographs will stay as a reminder of one of the best days of your life. Therefore, it is important to invest in an exquisite wedding dress that is made for your body type. Even though every individual has a unique body, it can be broadly classified under a group. 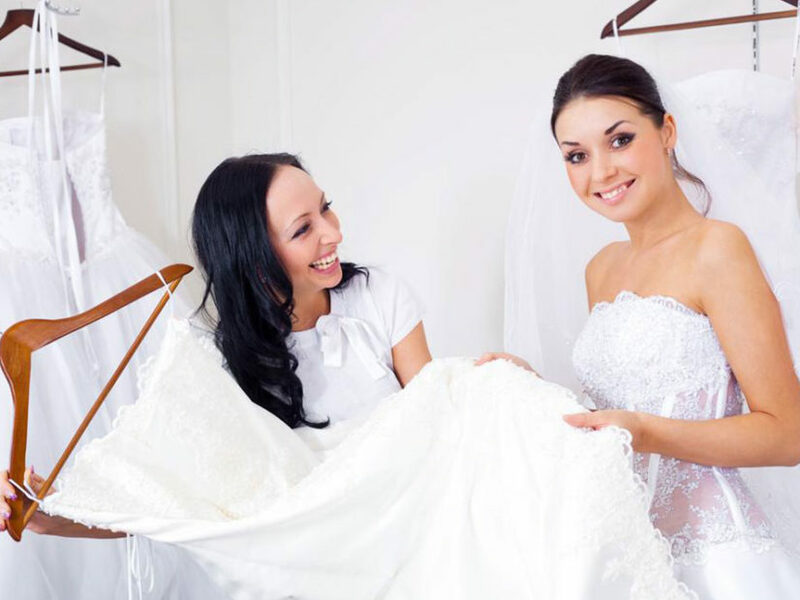 Get to know your body to get the most suitable wedding dress for your big day. Go for a gown that gradually flares outward. A-line dresses will flow over your lower body while highlighting the narrowness of your waist. It will take attention away from the thighs and hips. Look for sturdier fabrics that would not cling to your body. Your wedding dress must have a scooped neckline. This will aid in opening up the face and display your most positive features without revealing much of the cleavage. If you love strapless gowns, you must choose a wedding dress that has a straight dip or a sweetheart shaped neckline. Don’t go for a style that will run straight across as it will make your bust appear bigger. In this case, you will need a wedding dress where the flare of the skirt begins right just below the bust and flows to the floor seamlessly. You should steer clear an Empire seam starting right from the chest. Also, there should not be any pleats on the fabric as it is reminiscent of maternity wear. The dress must play up and flaunt your shape. It should not be too loose as it will end up adding pounds. A dress clinching at the smallest point on the waistline and gradually flaring down will be the perfect fit for you. You should look for a bodice which will add texture to the wedding dress. A lace detailing can camouflage and fit snugly. Choose a wedding gown with a V neckline. This has a slenderizing effect and will draw eyes towards the vertical features of your body. A simple silhouette will bring out the best in you. Your aim should be to emphasize you’re natural body shape. Choose a lower waistline and a floor-sweeping hem to emphasize your height. If you choose to wear long sleeves, make sure they run past your wrists. As you are on the taller side, everything will look good on you. Make sure that it doesn’t look like you have borrowed your gown from someone who is shorter than you. With these few tips, you will be able to get the perfect wedding dress that will make you look like a diva on your special day.